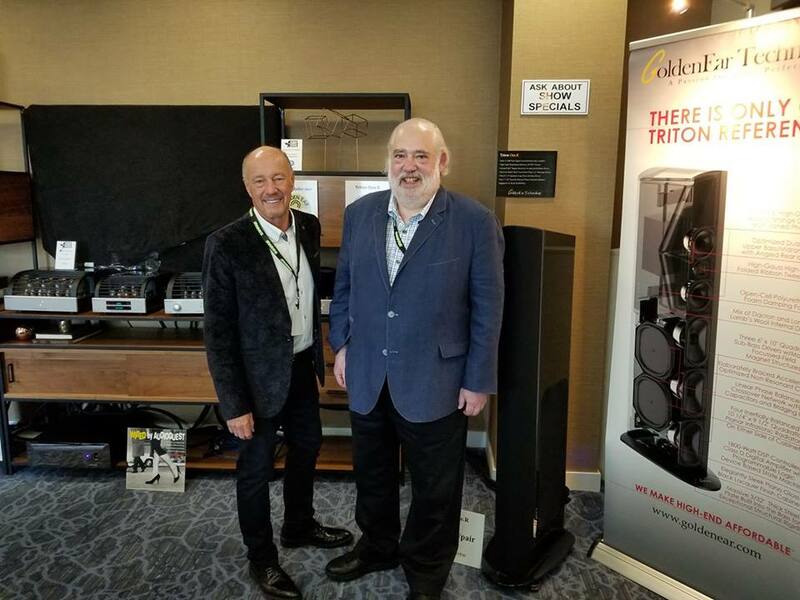 Last weekend the AXPONA show 2019 took place in Chicago! Celebrating their 10 year anniversary. On behalf of PrimaLuna, Kevin Deal and Anthony Chiarella were present. Just like last year, PrimaLuna shared a room with GoldenEar Technology. During the show, Kevin Deal introduced the new PrimaLuna EvoLution Series! In the demo set the new PrimaLuna EVO 100 Tube Digital AnaLogue Converter, EVO 400 Tube Preamplifier and EVO 400 Tube Poweramplifier were used, together with GoldenEar Triton One.R speakers! 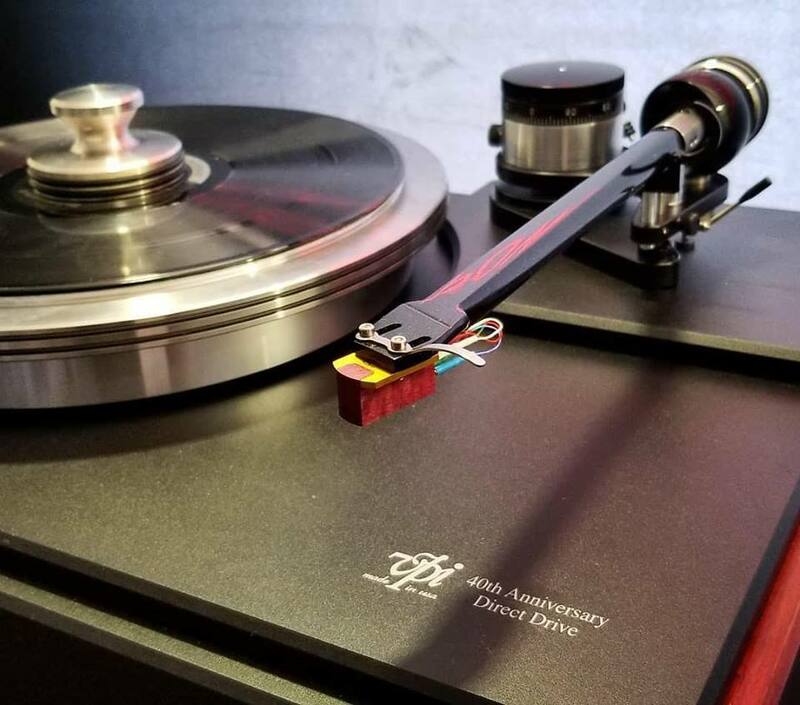 Besides PrimaLuna, Kevin Deal represented also KISEKI at the AXPONA Show 2019 where VPI Industries was showing off their new HW40 Direct Drive turntable and the #1 cartridge choice, the eminently -as they call it- musical Kiseki Purple Heart N.S. During the show, Kevin Deal shared a number of photos on his personal Facebook page. We shared his photos on our Facebook & Instagram page. For the people who don’t have a Facebook or Instagram account, please find the photos below. 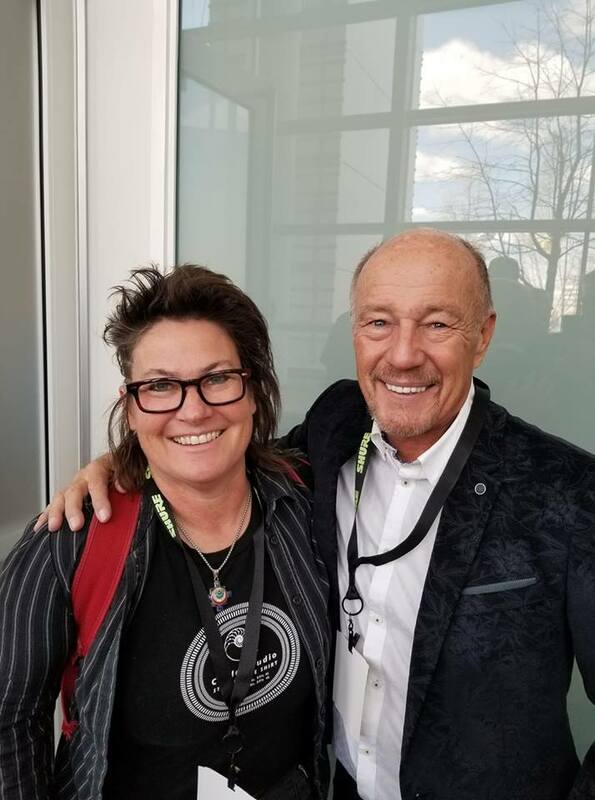 Next, to the photos shared with us, he was losing his voice because it was so busy 🙂, and still had time to team up with EveAnna, owner of Manley and the Focal guys! 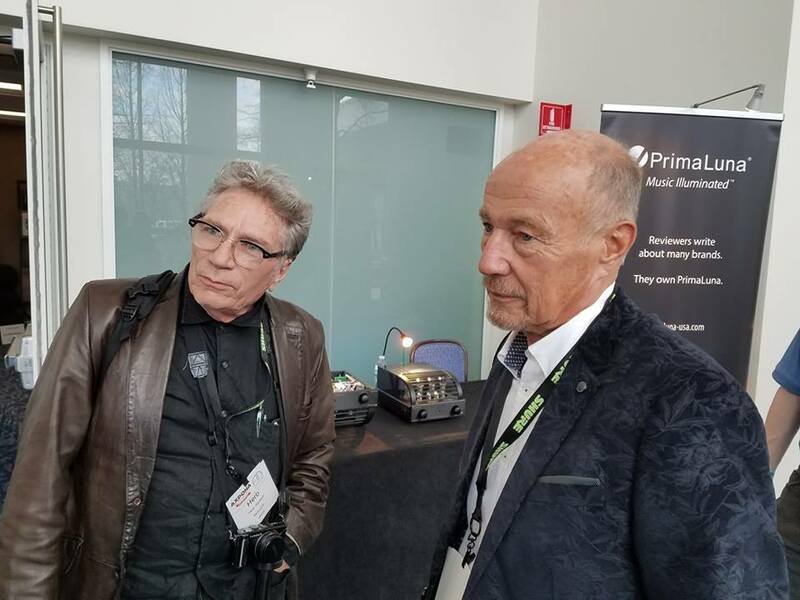 Soon we will share an extensive report of the AXPONA SHOW 2019 on this blog! … and of course more exciting news! Because that’s on its way! Stay tuned! 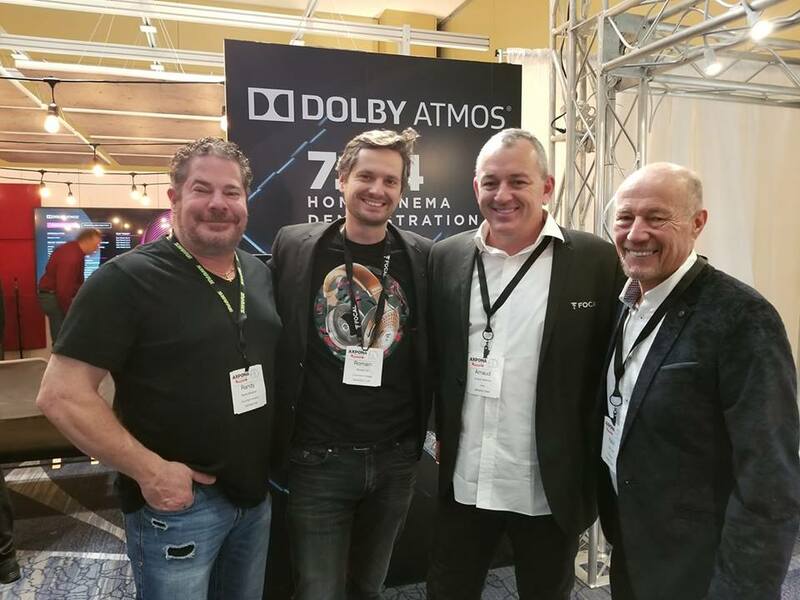 Kevin Deal & from the left Regional Sales Manager Randy Bingham, and Romain Vet Vice President Marketing, and of course Arnaud Hendoux of Focal. 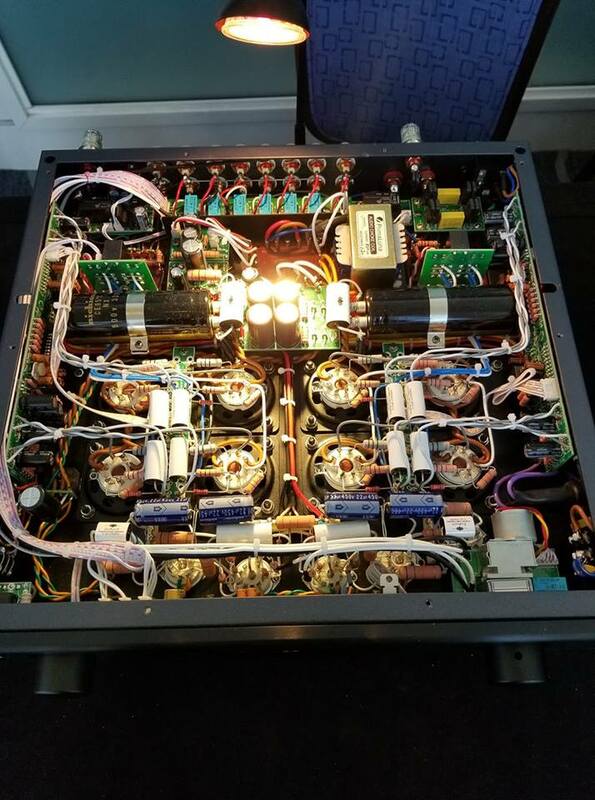 Dit bericht werd geplaatst in Dealers - Revendeurs, PrimaLuna, PrimaLuna EVO 100 Tube Digital AnaLogue Converter, PrimaLuna EVO 100 Tube Integrated Amplifier, PrimaLuna EVO 100 Tube Poweramplifier, PrimaLuna EVO 100 Tube Preamplifier, PrimaLuna EVO 200 Tube Integrated Amplifier, PrimaLuna EVO 200 Tube Poweramplifier, PrimaLuna EVO 200 Tube Preamplifier, PrimaLuna EVO 300 Tube Integrated Amplifier, PrimaLuna EVO 300 Tube Poweramplifier, PrimaLuna EVO 300 Tube Preamplifier, PrimaLuna EVO 400 Tube Integrated Amplifier, PrimaLuna EVO 400 Tube Poweramplifier, PrimaLuna EVO 400 Tube Preamplifier, PrimaLuna Tube Amplifier, PrimaLuna Tube Audio, Shows, Versterkers - Amplificateurs, Voorversterkers - Preamplificateurs en getagged met AXPONA 2019, durob audio, Focal, GoldenEar Technology, Herb Reichert, Kevin Deal, Kiseki PurpleHeart NS, PrimaLuna Audio, stereophile, Upscale Audio, VPI Industries. Maak dit favoriet permalink.